Command the turret to defeat all attacking spiders. You can play it now in the 'Next Steps' section below. Enjoy! 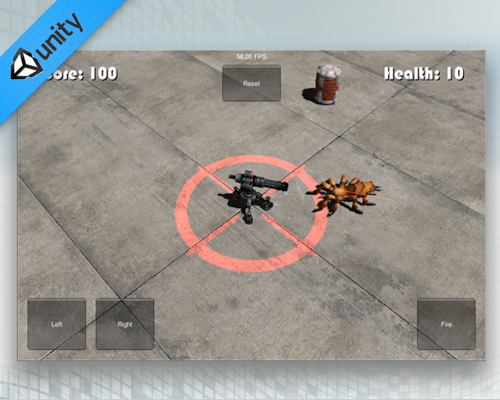 Spider Strike: is a simple, complete game created to showcase Unity3D/C# development skills. Role: I completed all aspects of game design and development and imported existing art assets via the Asset Store. Client: This is an internal project. For Unity Standard version: So download the free trial of Unity and learn from this project's source-code.